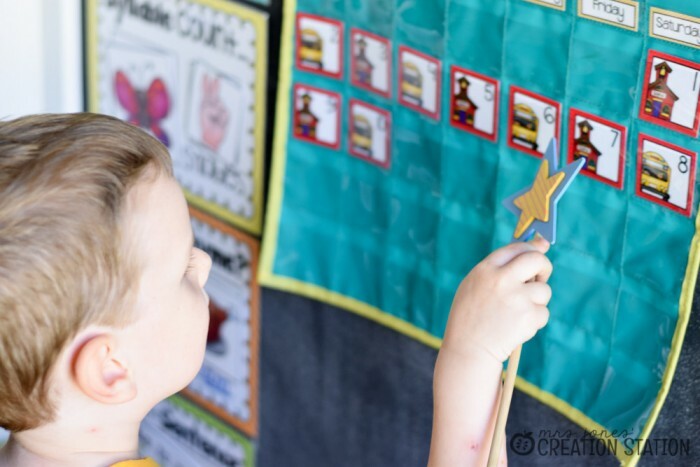 Are you implementing calendar time in your class? 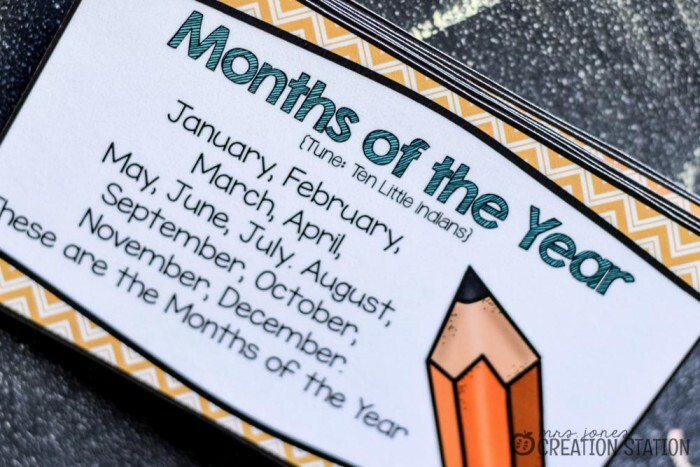 Tt is beneficial to create a routine and expectations for calendar time. 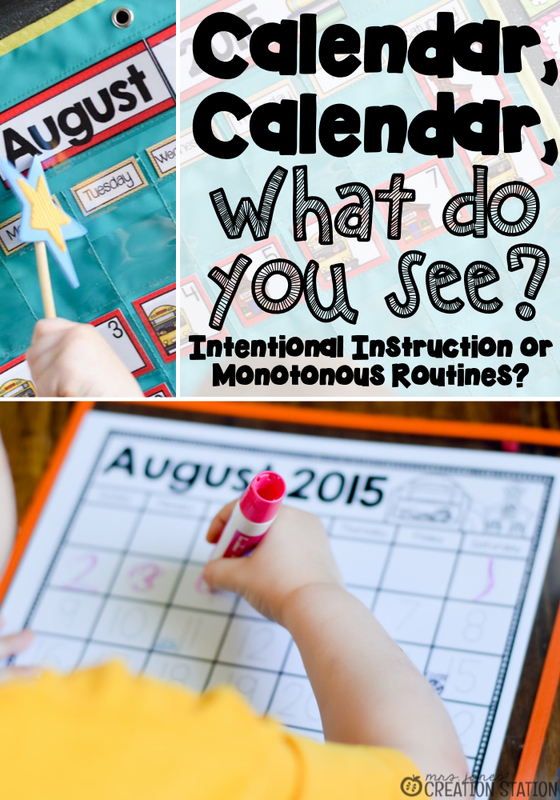 So what is your calendar made of…intentional instruction or monotonous routines? We started our calendar time and learning tubs this week, mainly because the weather has just been so HOT here in Texas and we needed something to keep us busy. 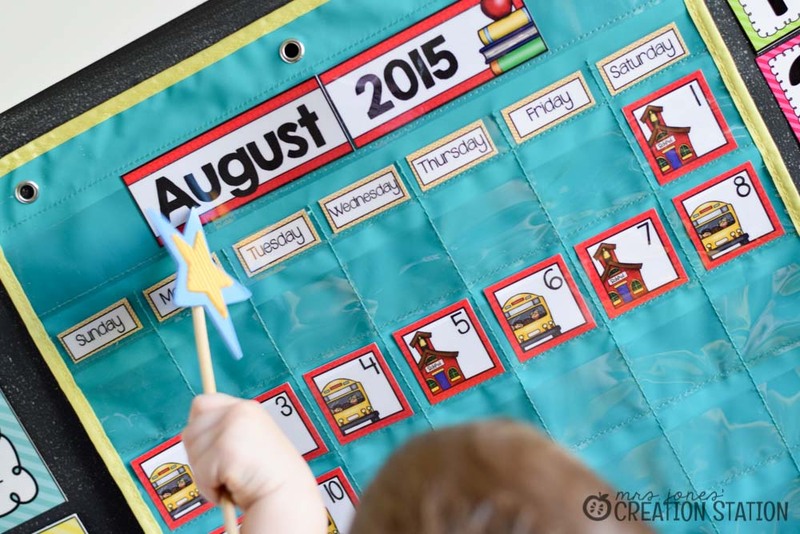 So, Grayson enjoyed completing our August calendar each day. I bought the Space Saver Calendar from Really Good Stuff because it is PERFECT for a small learning space. You can choose from my space saver calendar set or print my calendar bundle pieces at 77% and it should fit into the calendar just fine (that is what I did). Each day, we sing our calendar songs. He sure does love the songs I created! Next, he adds a new date, and traces a new number on his calendar. 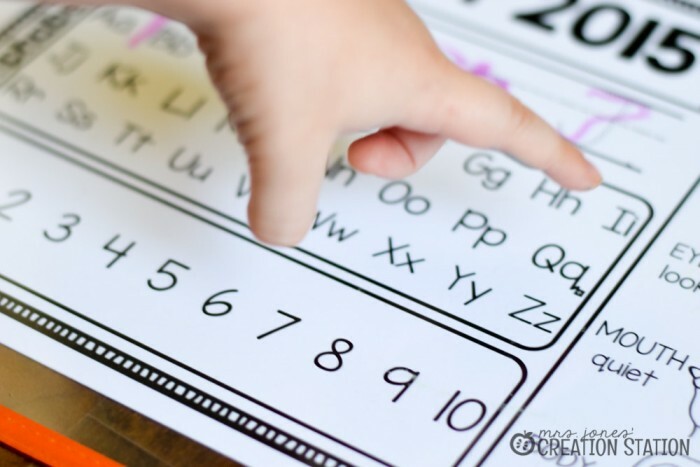 In August we are learning to recite the alphabet (not sing – Dr. Jean’s Lettercise is great for this) and count to 10. We are also practicing how we sit during calendar time (which we are practicing mainly for when he begins Pre-K in September). Since I use our calendar at home, I add special events that are happening in our family a week at a time on his calendar page. (unless it is a BIG event he needs to be prepared for) This week we planned a trip to the water park, He is also excited for a visit from his uncle and a special soccer game on Saturday, so all of these events are marked on his calendar page . 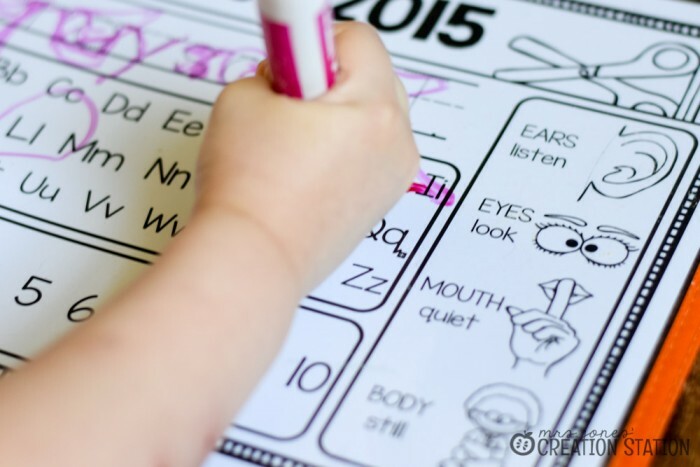 Next month, our routine will stay the same, but our learning goals will change. That will continue throughout the entire year. This consistency provides a learning environment where students are able to grow as learners and leaders. 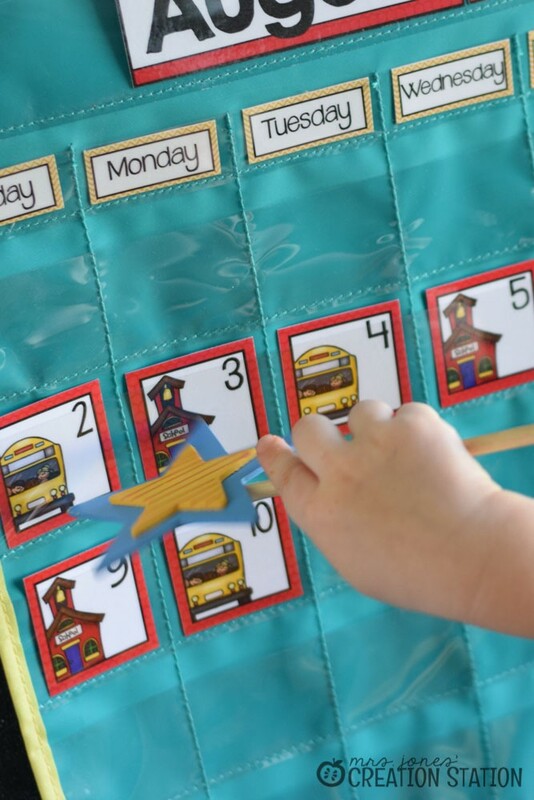 They are able to focus on new skills for an entire month and feel confident in their own learning. 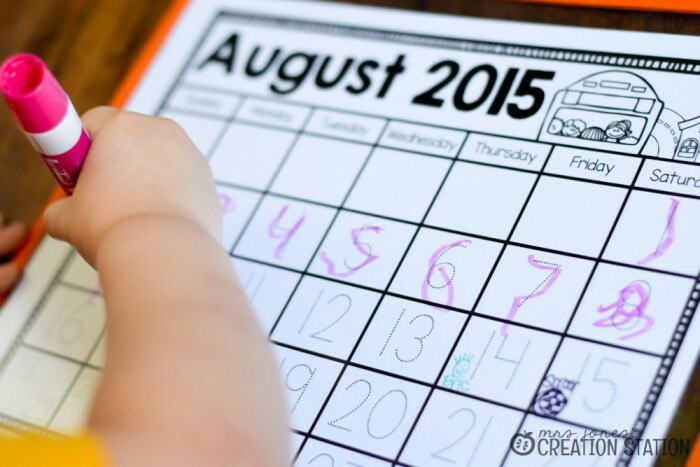 How do you manage your calendar time in your classroom or homeschool? Do you have a scope and sequence you follow? Share what works and what doesn’t work during your calendar time below! Yes! Click here to check it out!